My opening session was on a low river on a scorching day. I knew it would be a challenge, but as long as your bait’s in the water you’ve got a chance. Others must have thought the same as all my preferred swims were taken. I was happy to drop into a new spot though. Up for the challenge and all that. 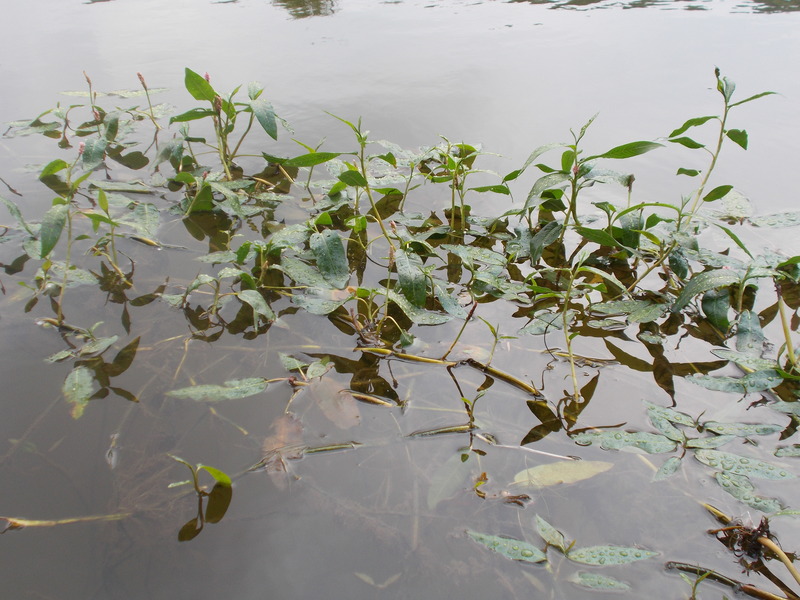 If you’ve been following my recent barbel adventures on the middle Severn, I’ve been fishing Undercover Barbel Stix on one rod and 2x 12mm M2 boilies on the other. I stuck with a winning formula. 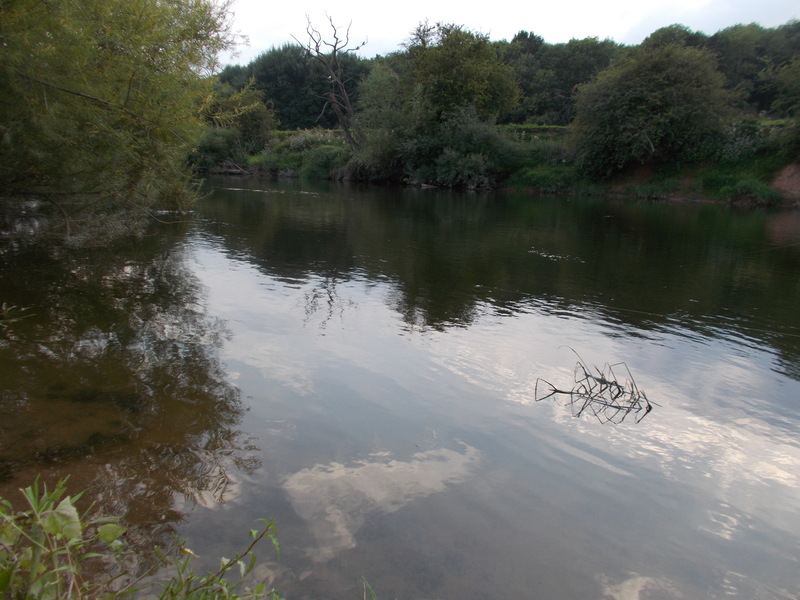 It was a tough day all round and passing anglers all reported no barbel on the bank. I stuck at it though until my appointed time and thought I was going to be rewarded with a late fish. 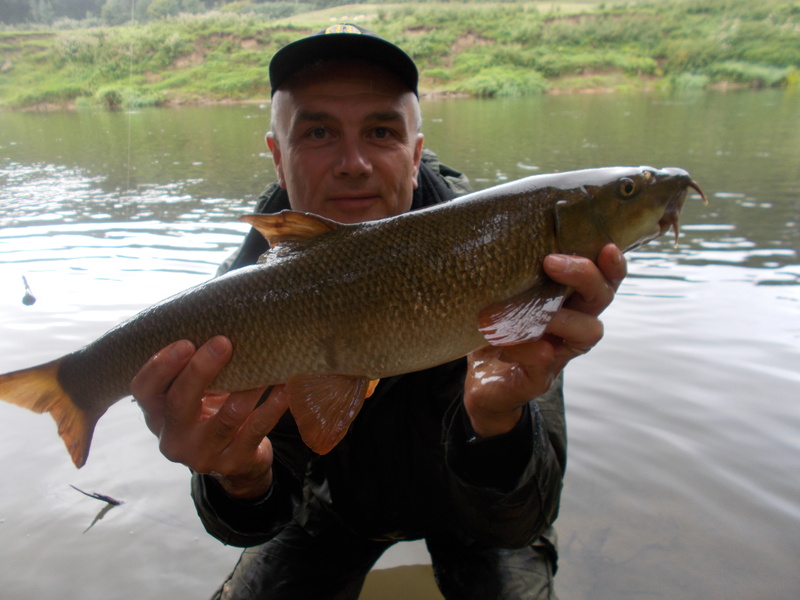 However on striking, it definitely wasn’t a barbel. Within seconds I realised I hadn’t hooked a chub either but a good roach. Unfortunately on two hair-rigged boilies I hadn’t got a good connection and the weed bed a length out ensured I didn’t net it. A spot noted for the future though. The lack of fish was more than compensated by the sighting of a dipper and my first ever great egret. Undeterred by my first total blank when after barbel this season, I was back the next afternoon. Work till lunchtime and then fish for the rest of the day sounds like a good use of time to me. In a different swim I spotted amphibious bistort in the margins. As a keen naturalist I’m always aware of the world around me. And it makes the day more interesting when you struggle on the fishing front. And struggle I did, this time not even a hook-pull to keep me busy. Again though, from a few conversations with other anglers, it appeared the going was tough all round. All venues can be like that of course, appearing at times as if they are devoid of fish. You have to keep going though and if you can just bank one fish it’s a result. 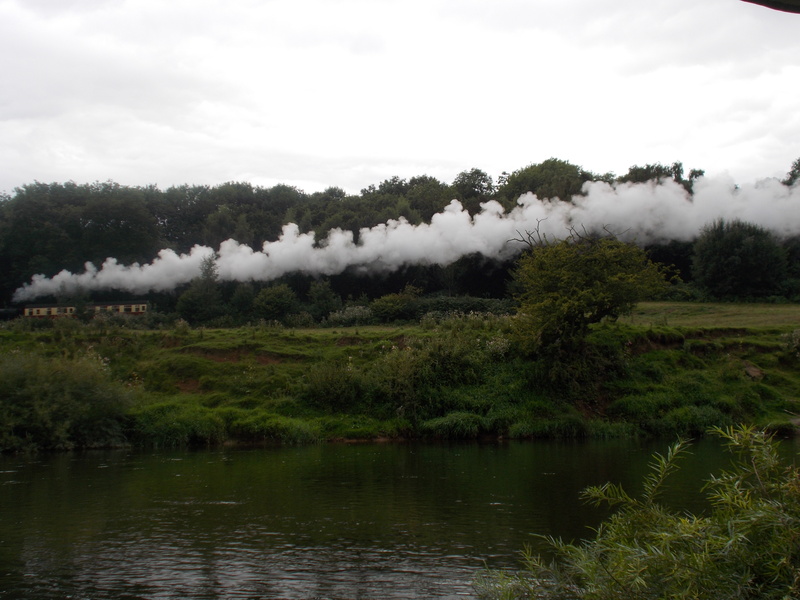 No exciting wildlife to make it interesting this time but I did have the far bank Severn Valley Railway to provide visual entertainment. Although I’m not a steam train enthusiast there is definitely something nostalgically pleasing about the SVR. I don’t live life looking through rosy-tinted spectacles but I do find myself more and more viewing back to when times were better in so many ways. When the fish stays deep and plods you know you’ve connected with a decent one. With the river fishing as it was I really didn’t want to lose this fish, so it was with great relief that I guided it over the submerged landing net. A couple of photos later the fish went back and I was a happy bunny. Anything else from then on was going to be a bonus. As mentioned, the fish was caught on M2 boilies and that’s them in the photograph above, after being submerged in M2 dip. 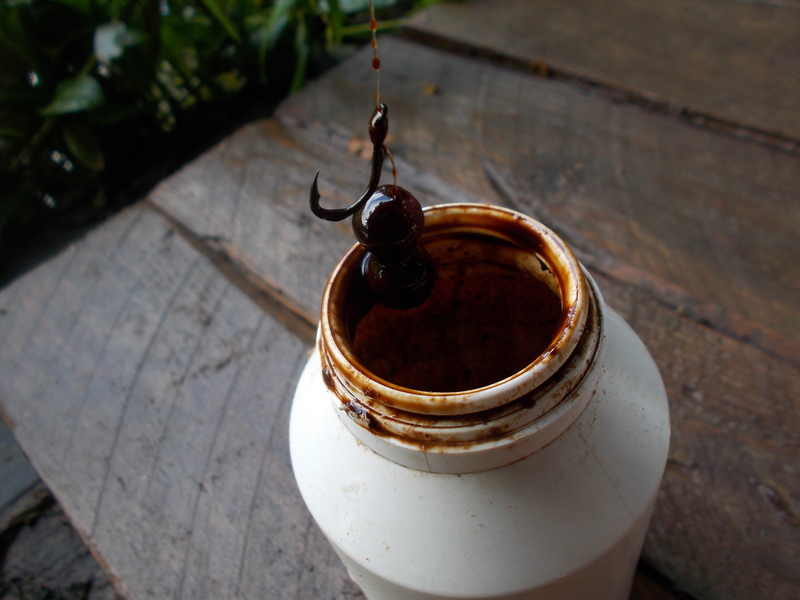 I’m a fan of these bait-boosting products and as well as soaking them can also dip before every cast. You get a lot of anglers who are cynical about bait manufacturing companies in general. But as far as I’m concerned I believe good products can give you the edge. There’s no such thing as a miracle, fish-guaranteed, wonder-bait and if anyone claims there is then that’s definitely worth getting suspicious about. But whether it’s just 1%, or even less, I do think that the right stuff on the right day will make a difference. And often it’s just that – one fish in the net underlining that fine line between ‘success’ and ‘failure’. 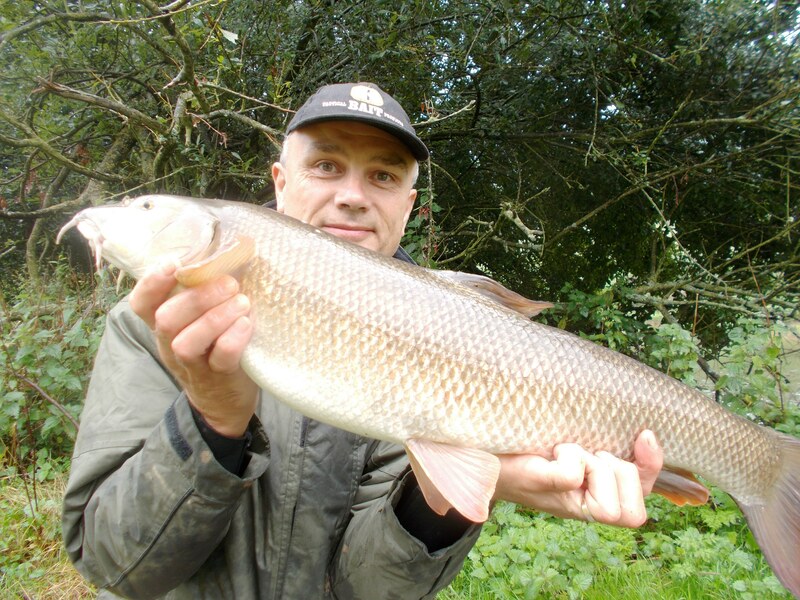 However, on this occasion the line wasn’t as fine as it could be, as a second barbel decided to have a munch on the M2. Smaller than the first one but still very welcome all the same. Walking to the swim I did wonder whether I had a leak in my Wychwood neoprene wellington boots. Well, as I went into the river to net the fish, that was confirmed. I therefore did most of the session with one totally dry foot and the other soaking wet. 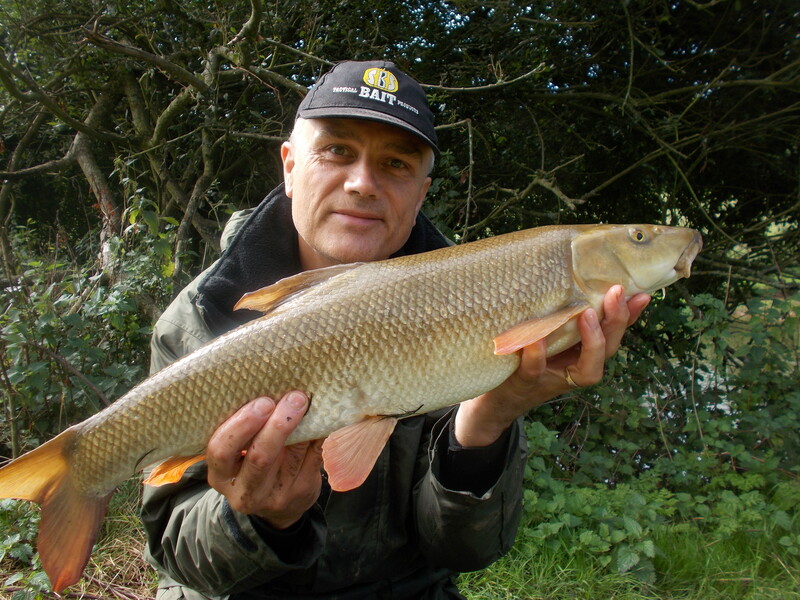 I’ve fished in far worse states though – and no doubt will continue to do so in the future. As the end of my short session drew nearer I found myself playing a third fish.